Did you all had a good Kings day celebration? I went to Breda to visit a friend last Sunday, the weather was so dramatic! It is almost end of April and it was snowing! The lowest temperature was 1°C… Really? Where is Spring?! I found Block 62 on trip adviser, the reviews and pictures looked so good, we decided to go there for lunch. Block 62 is fairly easy to reach by foot or bus from the Breda Central train station, we took the bus due to the “lovely weather”. At first sight, I already liked Block 62, the ceiling is very high so the restaurant seems very spacious and lighting was really good. 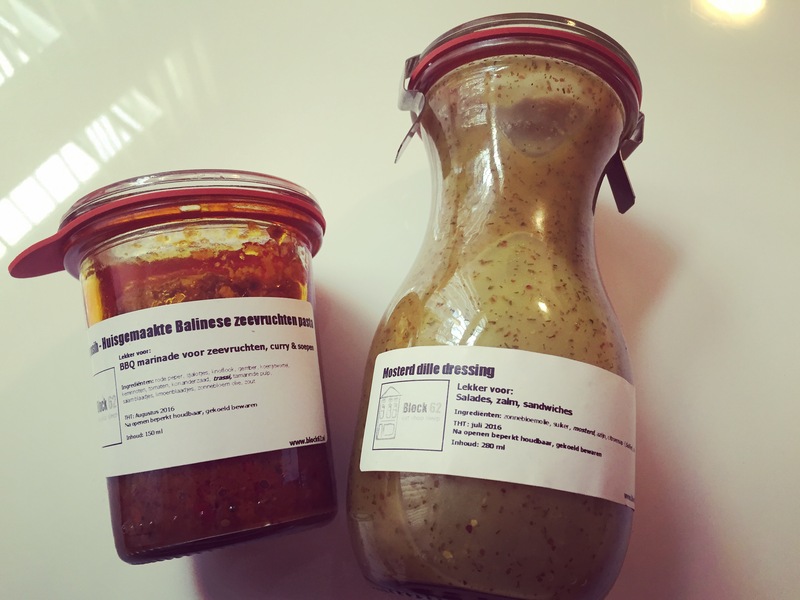 Block 62 is not only a restaurant, but also a shop, the owner makes a lot of salad dressing, jam and species, you can purchase them in the restaurant/shop. There are also two bed&breakfast rooms available for overnight stay. That’s why the headline on the website of Block 62 is “Eat, Shop, Sleep”. 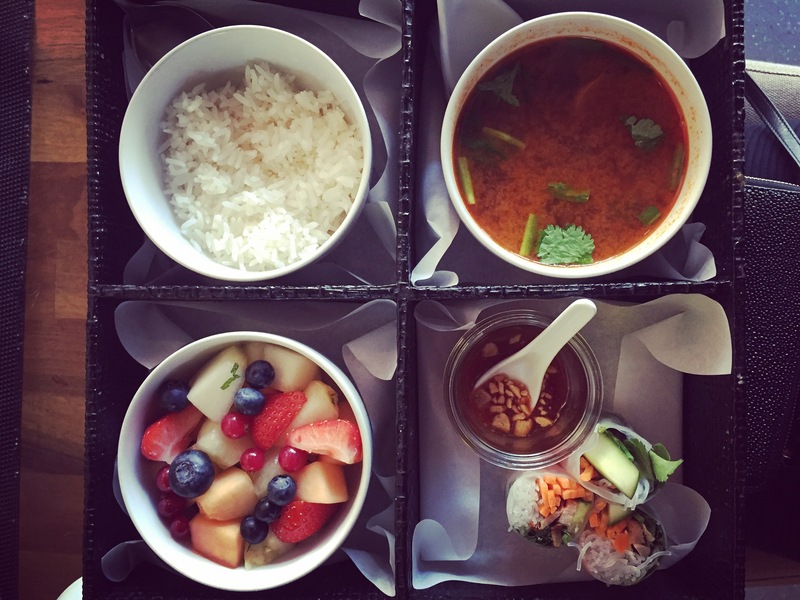 The bento box is consist of Tom Yum Goong soup; rice wrap with duck breast and glass noodles; jasmine rice and fruit salad. According to Kristina, the soup was very authentic, her mum makes the soup at home very often. It was delicious! The perfect mix of spicy and sour, with fresh herbs and shrimp, immediately opened up your appetite. The rice wrap was very tasty in combination with the dipping sauce. They were very generous with the fruit salad as well, it was a mix of different melons, berries and pineapple with some mint. Absolutely a good lunch! I would definitely go back to Block 62 and hope you liked my post.